Waterless Urinals Help Ocean Liners Save Water | Waterless Co Inc.
Waterless urinals and other water efficient fixtures are ways ocean liners can reduce the millions of gallons of water consumed every day. Because ocean liners consume a lot of water, they are the perfect place for no-water or waterless urinals and other water efficient restroom fixtures. It is estimated that some of the larger ocean liners use more than 260,000 gallons of fresh water every day. This means a typical cruise on an ocean liner to Europe may require more than 1.5 million gallons of water. The water is used for baths and showers, pools, laundry, ship mechanicals including cooling systems, and even purely decorative features such as waterfalls and fountains. And just as with large buildings on land, considerable amounts of water are necessary for sinks, toilets, and urinals in the ship’s bathrooms. In fact, for land buildings, restrooms consume more water than any other area of the facility, with the possible exception of landscaping. Today, reduced-flow toilets are designed to use no more than 1.6 gallons per flush (gpf), about half the amount consumed by toilets made before 1992. However, new systems are available that use even less—1.29 gpf. Dual-flush toilets provide 1.6 gpf to remove solid waste and .8 gpf to remove liquid waste. The handles or buttons on the toilets allow users to decide which flush is needed. 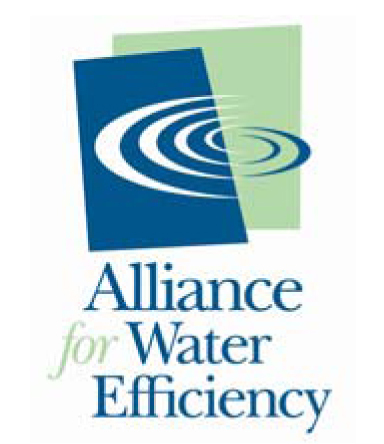 A study by Purdue University from June 2004 to June 2005 found there was a 45 percent reduction in water use when these reduced-flow toilets were installed. Taking things a step further, air-compressed toilets, which are growing in popularity in areas of the country where there are chronic water problems, use a combination of compressed air and water to quickly and effectively remove waste from the bowl. Reducing the flow rate on faucets and showerheads is rather simple. Installing an aerator on existing fixtures can limit the amount of water released. In most cases, using new technologies, users cannot tell the difference between older, water-hungry faucet/shower head systems and those incorporating new aerator technologies. Studies also indicate that automatic, or sensor-controlled, faucets take water efficiency a step further. This is because these systems are designed to stop water flow as soon as hands have been removed from the “active area.” These sensor-controlled systems are far more dependable than earlier models and can prove to be a valuable water-conserving measure for a ship’s public and private restrooms. Many managers are startled to hear that one conventional urinal uses about 40,000 gallons of water per year. Reduced-flow urinals, using from .5 gallons to about 1 gallon of water per flush, have helped lessen the amount of water used; until recently, this type of reduced-flow fixture was about the only option available, especially for ships. However, no-water urinal systems, or waterless urinals are now available for installation on ocean liners being built. First introduced in the United States in 1991, waterless urinals have a trap or cylinder at the base of the urinal into which urine flows to prevent odors from being released into the restroom. The urine drains into a sewage system. The expression “Green cruising” is now a buzz phrase in the ocean liner industry. Some have declared ocean liners bad for the environment because of their massive use of water, fuel, and energy. In response, ship owners are incorporating a variety of measures to reduce the fuel and energy needs of their ships as well as the waste they generate. Incorporating the water efficient restroom fixture strategies discussed here including the installation of waterless urinals is helping to reduce the fuel and energy needs of many ocean liners. This is because water is heavy. Reducing the amount of water an ocean liners consumes and needs to carry can lead to a reduction in fuel and energy consumption and help make the liner not only greener, more water efficient, but better for the environment as well. Klaus Reichardt is an expert on waterless urinal technology systems. His company has been manufacturing them longer than any in the United States. He is also familiar with waterless technology in Europe and South America. For more information on Waterless urinals, send us an email. Older PostFAQ: Can Waterless Urinals Really Save Water?